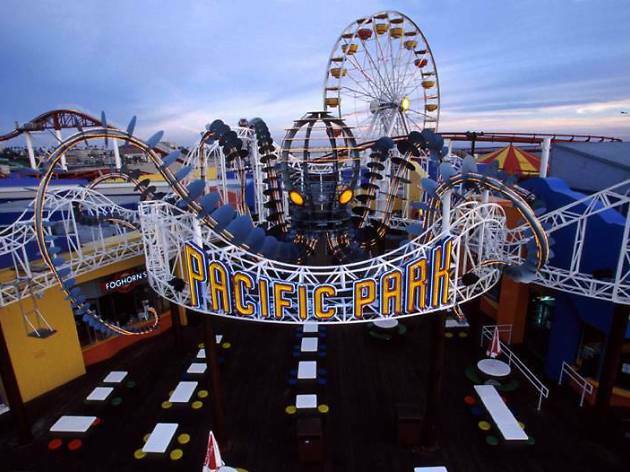 Considered the focal point of Santa Monica Beach, Santa Monica Pier includes Pacific Park, a traditional set-up stocked with a Ferris wheel, aquarium, fairground games and cotton candy stands. It's a busy spot to say the least, especially on warm weekends. 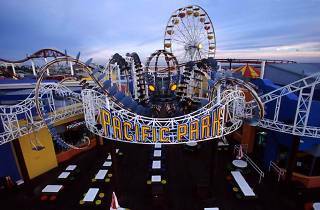 The carnival attractions are nothing amazing, though the roller coaster and Ferris wheel certainly have their oceanfrot setting going for them; consider shelling out for an unlimited wristband if you'll be going on more than just those two.